Taylored Curiosities uses her art to remove the stigma around mental health. This time she’s transforming another one of her characters into an aromatherapy plush. Starting with Worry in 2016, it’s time for a new addition to The Feelings plush family: Self-conscious. At 10 cm (4 inches) tall, this plush toy makes a great little companion. 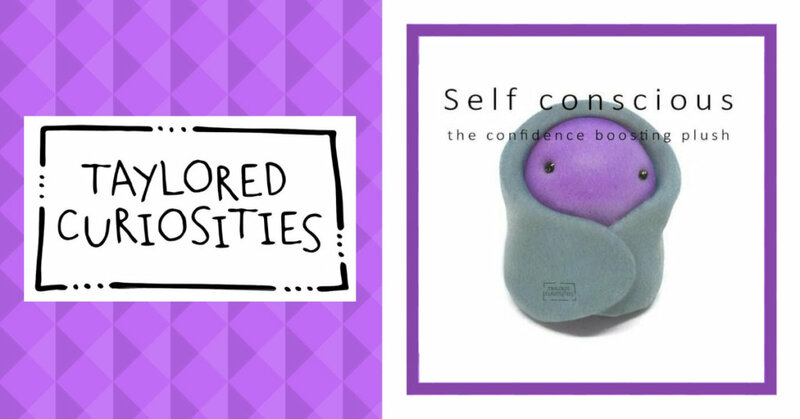 Self-conscious is made of super soft velboa fabrid and stuffed with hypoallergenic stuffing. He has a removable blanket and is scented with natural ginger which is said to energize the body and thought to function as an anti-depressant. Sounds good to me! Now how to get this fluffy little fellow you ask? Go to Kickstarter to support this lovely campaign. A pledge of 15 GBP (around $20) will get you your very own Self-conscious (this includes worldwide shipping!). Ofcourse you can also make a donation of your liking to help Taylored Curiosities bring Self-conscious to life. Let’s make this happen! You can find Taylored Curiosities on Facebook, Instagram, Twitter and Pinterest.